Married Julient … has one daughter: Ana Barbara ... Nickname is "El Menor" … is named after Bruce Lee … Twitter: @BruceRondón. Made 21 appearances with Detroit … made the Tigers Opening Day roster but was optioned to Class AAA Toledo on 4/10 after allowing six runs in 1.1 IP over his first three outings ... Was recalled for the second time on 6/23 … went 1-0 with a 2.79 ERA (3 ER/9.2 IP), 15 strikeouts and four holds in his first 10 appearances after rejoining the club ... Was 0-2 with a 19.29 ERA (10 ER/4.2 IP) over his next eight outings from 7/23-8/13 and was optioned back to Toledo on 8/13, where he spent the rest of the season ... Went 2-1 with a 2.70 ERA (11 ER/36.2 IP) and 43 strikeouts over 38 games with Toledo … recorded a 1.71 ERA (4 ER/21.0 IP) with 23 strikeouts over his last 21 games ... Appeared in four games with Team Venezuela in the World Baseball Classic, posting a 5.40 ERA (1 ER/1.2 IP) with three strikeouts. Split the 2016 season between Detroit and Triple A Toledo - posted a 5-2 record with a 2.97 ERA (36.1IP/12ER) and 45 strikeouts over 37 appearances with the Tigers and compiled a 2-2 record with nine saves, a 3.74 ERA (21.1IP/9ER) and 30 strikeouts in 22 games with the Mud Hens...Sidelined from April 13-May 1 with a left hamstring strain... Did not allow a run in his final seven appearances with Triple A Toledo from June 3-June 17, a stretch that spanned 6.1 innings... Recalled from Triple A Toledo on June 19...Recorded the win after retiring two batters (with three inherited runners on base) over 0.2 innings on July 3 at Tampa Bay...Placed on the paternity list on August 8 and was reinstated from the paternity list on August 11...Tossed a scoreless inning to record his fifth win of the season on August 30 vs. Chicago (AL), striking out one in a scoreless inning... Recorded his 100th career strikeout on September 7 at Chicago (AL), striking out Avisail Garcia in the sixth inning... Turned in a scoreless outing in 17 of 18 appearances from July 26-September 14 -- went 2-0 with a 1.06 ERA (17.0IP/2ER) and 23 strikeouts during the stretch... Appeared in 13 games in September/October and had a 1.46 ERA (12.1IP/2ER) with 14 strikeouts... Lefthanded hitters posted a .159 (11x69) average, while righthanders batted .207 (12x58) against him this season... Made 19 appearances at home and had a 2-0 record with a 2.79 ERA (19.1IP/6ER) and 21 strikeouts…went 3-2 with a 3.18 ERA (17.0IP/6ER) and 24 strikeouts in 18 road outings... Compiled a 3-1 record with a 3.72 ERA (9.2IP/4ER) and 10 strikeouts in eight games prior to the All-Star break, while he went 2-1 with a 2.70 ERA (26.2IP/8ER) and 35 strikeouts in 29 games following the All-Star break. Appeared in 35 games with the Tigers in 2015...posted a 1-0 record with five saves, a 5.81 ERA (31.0IP/20ER) and 36 strikeouts. Sidelined from April 1-June 15 with bicipital tendinitis. Began an injury rehab assignment with Triple-A Toledo on May 21 -- made nine injury rehab outings with the Mud Hens, compiling a 1-2 record with a 10.38 ERA (8.2IP/10ER) and nine strikeouts. Reinstated from the 15-day disabled list and optioned to Triple-A Toledo on June 15. Recalled from Triple-A Toledo on June 25. Struck out all three batters he faced on July 6 at Seattle, matching his career high for the fourth time. Recorded his first save of 2015 on August 8 against Boston...also recorded saves on August 12 at Kansas City, September 1 at Kansas City, September 7 vs. Tampa Bay and September 15 at Minnesota. Did not allow a run in 10 of 11 outings from July 19-August 12 -- finished the stretch with a 1.80 ERA (10.0IP/2ER) and 14 strikeouts. Posted a 1-0 record with two saves, a 5.06 ERA (16.0IP/9ER) and 18 strikeouts in 19 games at Comerica Park...had three saves, a 6.60 ERA (15.0IP/11ER) and 18 strikeouts on the road. Compiled a 1-0 record with a 9.00 ERA (7.0IP/7ER) and 11 strikeouts in nine relief appearances prior to the All-Star break...had five saves, a 4.88 ERA (24.0IP/13ER) and 25 strikeouts in 26 outings after the All-Star break. Lefthanded hitters posted a .288 (15-for-52) average...righthanders batted .239 (16-for-67) against him. Appeared in five games with Navegantes del Magallanes of the Venezuelan Winter League and had a 1-0 record with a 2.25 ERA (4.0IP/1ER) and six strikeouts. Sidelined for the entire 2014 season after undergoing right elbow/UCL reconstruction surgery in March...The surgery was performed by Dr. James Andrews in gulf Breeze, Florida. Appeared in 30 games during two separate stints with the Tigers in 2013...Assigned to Triple A Toledo to begin the season...Rated as having the best fastball in the International League by Baseball America...Recalled from Toledo by the Tigers on April 23...Made his major league debut on April 25 versus Kansas City -- gave up one run on three hits in 1.0 inning of work...Optioned to Toledo by the Tigers on May 1...Posted a 0.75 ERA (12IP/1er) and 13 strikeouts with Toledo during May...Recalled by the Tigers from Toledo on June 28...Recorded his first career major league win on August 4 versus the Chicago White Sox...Recorded his first career major league save on August 30 versus Cleveland...Posted a 1.50 ERA (12.0IP/2er) and 12 strikeouts in 12 appearances during August...Became the first pitcher in Tigers history to pitch 1.0 inning, while striking out three batters using 10 pitches-or-less with his eighth inning appearance versus Minnesota on September 24...Limited lefthanded batters to a .295 (13x44) batting average...righthanders hit .234 (15x64) with him on the mound...Posted a 1-1 record, a 6.35 ERA(11.1IP/8er) and 10 strikeouts in 13 appearances at home...compiled a 0-1 record, a 1.56 ERA (17.1IP/3er) and 20 strikeouts in 17 games on the road...Recorded a 0-1 record, a 6.36 ERA (9.0IP/6er) and eight strikeouts in 10 appearances prior to the All-Star break...compiled a 1-1 record, a 2.29 ERA (19.2IP/5er) and 22 strikeouts in 20 games after the break. Appeared in 30 games during two separate stints with the Tigers in 2013...Assigned to Triple A Toledo to begin the season...Rated as having the best fastball in the International League by Baseball America...Recalled from Toledo by the Tigers on April 23...Made his major league debut on April 25 versus Kansas City -- gave up one run on three hits in 1.0 inning of work...Optioned to Toledo by the Tigers on May 1...Posted a 0.75 ERA (12IP/1ER) and 13 strikeouts with Toledo during May...Recalled by the Tigers from Toledo on June 28...Recorded his first career major league win on August 4 versus the Chicago White Sox...Recorded his first career major league save on August 30 versus Cleveland...Posted a 1.50 ERA (12.0IP/2ER) and 12 strikeouts in 12 appearances during August...Became the first pitcher in Tigers history to pitch 1.0 inning, while striking out three batters using 10 pitches-or-less with his eighth inning appearance versus Minnesota on September 24...Limited lefthanded batters to a .295 (13x44) batting average...righthanders hit .234 (15x64) with him on the mound...Posted a 1-1 record, a 6.35 ERA (11.1IP/8ER) and 10 strikeouts in 13 appearances at home...compiled a 0-1 record, a 1.56 ERA (17.1IP/3ER) and 20 strikeouts in 17 games on the road...Recorded a 0-1 record, a 6.36 ERA (9.0IP/6ER) and eight strikeouts in 10 appearances prior to the All-Star break...compiled a 1-1 record and a 2.29 ERA (19.2IP/5ER) and 22 strikeouts in 20 games after the break. Selected to participate in the Futures Game held prior to Major League Baseball's All-Star Game in 2012 ... Named the Tigers Minor League Pitcher of the Year as he compiled a 2-1 record, 1.53 ERA (53.0IP/9ER), 29 saves and66 strikeouts in 52 appearances with Single A Lakeland, Double A Erie and Triple A Toledo during the 2012 season. ... Third among all minor league pitchers with 29 saves. ... Earned a spot on the World Team for the Futures Game held at Kansas City's Kauffman Stadium prior to Major LeagueBaseball's All-Star Game. ... Selected to Baseball America's first-team minor league all-star squad. ... Tabbed the best reliever in the Eastern League and Florida State League by Baseball America. ... Assigned to Lakeland to begin the season -- did not allow a run over a 12-outing stretch April 26-June 1, fanning 17batters in 13.1 scoreless innings. ... Had his contract tranferred from Lakeland to Erie on June 20 -- did not allow a run in his first 11 appearances with theSeaWolves June 20-July 12, fanning 13 batters in 11.1 scoreless innings. ... Garnered Tigers Minor League Pitcher of the Month honors for June -- posted a 0.79 ERA (11.1IP/1ER), 11 saves and14 strikeouts in 12 outings with Lakeland and Erie during the month. ... Fanned a season-high five batters on July 3 at Harrisburg. ... Had his contract transferred from Erie to Toledo for the remainder of the season on August 7. ... Named the third-best prospect and rated as having the best fastball and slider in the Tigers organization, named the12th-best prospect in the Eastern League and 14th-best prospect in the Florida State League following the season byBaseball America. ... Saw action in 18 games with Magallanes in the Venezuelan Winter League following the season, posting a 4-1 record,4.41 ERA (16.1IP/8ER), nine saves and 19 strikeouts -- tied for third in the league with nine saves. Selected to the Midwest League's mid-season all-star squad as he spent the entire 2011 season with Single A WestMichigan. ... Did not allow a run over a nine-outing stretch May 4-27, fanning 16 batters in 8.2 scoreless innings. ... Compiled a 0.84 ERA (10.2IP/1ER), six saves and 14 strikeouts in 10 appearances during June. ... Sidelined for the remainder of the season after landing on the disabled list on August 2 with right shoulderinflammation. ... Named the 12th-best prospect and rated as possessing the best fastball in the Tigers organization following theseason by Baseball America. ... Appeared in six games with Magallanes in the Venezuelan Winter League following the season, posting a 3.00 ERA(6.0IP/2ER), one save and six strikeouts. Selected to the Gulf Coast League's post-season all-star squad as he spent the majority of the 2010 season with the GulfCoast League Tigers...tabbed the Gulf Coast League Tigers Pitcher of the Year. ... Led the Gulf Coast League with 15 saves, while he tied for the lead with 22 games finished and finished second with24 appearances. ... Topped all Gulf Coast League relievers with a .133 batting average against. ... Did not allow a run over his final 20 appearances of the season with the Gulf Coast League Tigers June 30-August 20,fanning 23 batters in 21.2 scoreless innings. ... Had his contract transferred to Lakeland for the remainder of the season on August 24. ... Named the 13th-best prospect in the Tigers organization and 15th-best prospect in the Gulf Coast League following theseason by Baseball America. ... Appeared in 13 games with Magallanes in the Venezuelan Winter League following the season, posting a 4.26 ERA(12.2IP/6ER), two saves and 12 strikeouts. Assigned to the Gulf Coast League Tigers to begin the 2009 season, before his contract was transferred to theVenezuelan Summer League Tigers for the remainder of the season on July 10. ... Appeared in one game with Margarita in the Venezuelan Summer League following the season. Made his professional debut with the Venezuelan Summer League Tigers during the 2008 season. ... Tied for fifth in the Venezuelan Summer League with 13 games started. ... Went the distance in a loss on June 21 at the Venezuelan Summer League Mariners -- tied for second in theVenezuelan Summer League with one complete game. ... Compiled a 2.38 ERA (22.2IP/6ER) in five starts during June. July 17, 2018 RHP Bruce Rondon elected free agency. 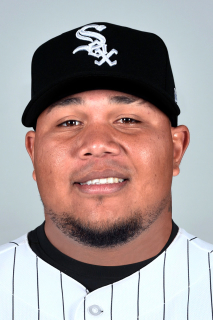 July 13, 2018 Chicago White Sox sent RHP Bruce Rondon outright to Charlotte Knights. July 11, 2018 Chicago White Sox designated RHP Bruce Rondon for assignment. April 8, 2018 Chicago White Sox selected the contract of RHP Bruce Rondon from Charlotte Knights. February 8, 2018 Chicago White Sox signed free agent RHP Bruce Rondon to a minor league contract and invited him to spring training. February 8, 2018 RHP Bruce Rondon assigned to Charlotte Knights. December 26, 2017 RHP Bruce Rondon assigned to Navegantes del Magallanes. December 1, 2017 RHP Bruce Rondon elected free agency. October 2, 2017 Detroit Tigers recalled RHP Bruce Rondon from Toledo Mud Hens. August 14, 2017 Detroit Tigers optioned RHP Bruce Rondon to Toledo Mud Hens. June 23, 2017 Detroit Tigers recalled Bruce Rondon from Toledo Mud Hens. April 10, 2017 Detroit Tigers optioned RHP Bruce Rondon to Toledo Mud Hens. August 11, 2016 Bruce Rondon roster status changed by Detroit Tigers. August 8, 2016 Detroit Tigers placed RHP Bruce Rondon on the paternity list. June 19, 2016 Detroit Tigers recalled RHP Bruce Rondon from Toledo Mud Hens. May 1, 2016 Toledo Mud Hens activated RHP Bruce Rondon from the 7-day disabled list. April 15, 2016 Toledo Mud Hens placed RHP Bruce Rondon on the 7-day disabled list retroactive to April 13, 2016. March 28, 2016 Detroit Tigers optioned RHP Bruce Rondon to Toledo Mud Hens. March 2, 2016 RHP Bruce Rondon assigned to Detroit Tigers. November 28, 2015 RHP Bruce Rondon assigned to Navegantes del Magallanes. June 25, 2015 Detroit Tigers recalled Bruce Rondon from Toledo Mud Hens. June 15, 2015 Detroit Tigers optioned RHP Bruce Rondon to Toledo Mud Hens. May 21, 2015 Detroit Tigers sent RHP Bruce Rondon on a rehab assignment to Toledo Mud Hens. April 5, 2015 Bruce Rondon roster status changed by Detroit Tigers. October 31, 2014 Detroit Tigers activated RHP Bruce Rondon from the 60-day disabled list. October 7, 2014 RHP Bruce Rondon assigned to Navegantes del Magallanes. October 21, 2013 Detroit Tigers activated RHP Bruce Rondon. October 3, 2013 Detroit Tigers reassigned RHP Bruce Rondon to the minor leagues. June 28, 2013 Detroit Tigers recalled RHP Bruce Rondon from Toledo Mud Hens. May 2, 2013 Detroit Tigers optioned Bruce Rondon to Toledo Mud Hens. April 23, 2013 Detroit Tigers recalled Bruce Rondon from Toledo Mud Hens. March 28, 2013 Detroit Tigers optioned Bruce Rondon to Toledo Mud Hens. November 20, 2012 Detroit Tigers selected the contract of Bruce Rondon from Toledo Mud Hens. August 7, 2012 Bruce Rondon assigned to Toledo Mud Hens from Erie SeaWolves. June 20, 2012 Bruce Rondon assigned to Erie SeaWolves from Lakeland Flying Tigers. April 2, 2012 Bruce Rondon assigned to Lakeland Flying Tigers from West Michigan Whitecaps. March 14, 2012 RHP Bruce Rondon assigned to Detroit Tigers. October 11, 2011 Bruce Rondon assigned to Navegantes del Magallanes. September 7, 2011 Bruce Rondon roster status changed by West Michigan Whitecaps. May 9, 2011 West Michigan Whitecaps activated RHP Bruce Rondon. May 6, 2011 RHP Bruce Rondon suspended. March 31, 2011 RHP Bruce Rondon assigned to West Michigan Whitecaps from Lakeland Flying Tigers. October 8, 2010 RHP Bruce Rondon assigned to Navegantes del Magallanes. August 24, 2010 Bruce Rondon assigned to Lakeland Flying Tigers from GCL Tigers. June 1, 2010 Bruce Rondon assigned to GCL Tigers from VSL Tigers. December 31, 2009 RHP Bruce Rondon elected free agency. December 18, 2009 RHP Bruce Rondon assigned to Bravos de Margarita. July 13, 2009 RHP Bruce Rondon assigned to VSL Tigers from GCL Tigers. May 14, 2009 Bruce Rondon assigned to GCL Tigers from VSL Tigers.